PHIL DOLEMAN CONFIRMED AS HEADLINE ACT! Meet and Greet Bring your ukes and join us in front of the main stage area from 13:00 to 16:00 for a chance to meet everyone, say "Hi" to old friends, meet new friends and jam along in an informal jam session. This proved to be very popular last year so we have decided to make it a feature of each Shrewkfest. with his fresh and new take on playing blues on the ukulele. Blues, Jazz, Swing and Ragtime. to sing, play, chat and laugh. It's a very friendly, fun group that welcomes people of all abilities and ages. "High And Mighty" evolved from its monthly meetings in High Ercall. and High Ercall Village Hall. with many band members taking the lead. with a strong bass leading the way. An up and coming trio from the misty parks, red brick docks and industrial waters of Liverpool. Making their debut in Liverpool this year, Gemma, Elaine and Danny are Cat People. Sit low, kick back, relax and get comfy. Take it from the King of the Cats, the Korova Milk Bar junkie. Cat People are B-Movie Blues with a feline focus. if that sounds up your street, then so are we. Not Quite Dead Yet started in 2015 when 3 Old Punks from the West Midlands discovered they had ukuleles that they never played. It started out as a bit of fun to entertain ourselves but has now escalated somewhat! We started playing just Punk songs but now just play songs we like. We started practicing in a conservatory but grew pretty quickly so ended up in the local pub. We were joined by a friend who had a double bass, another friend who played guitar and another friend of a friend turned up with a saxophone and later an aerophone! There are now about twenty people in the band (no-one is actually sure how many) because if you turn up with a uke you’re in! We have now started to write our own songs which we are hoping to record at the end of the year and are gigging around the West Midlands. Punk and Ska are probably our main influences, but as more people joined, more ideas for songs came too. Our main aim is still to entertain ourselves - fortunately people seem to like us too! 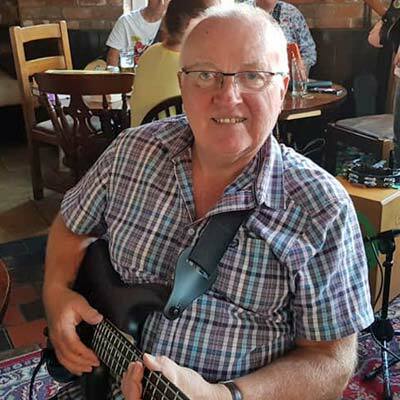 Beginners Workshop part 1 Chili Monster, Jock Henderson & Clive Butterworth, along with Stuart Palmer and Maddy Brine from 'The Shrewsbury Ukulele Jam' will hold a Workshop for complete beginners - Always wanted to learn to play Ukulele but never got round to trying? This workshop will lead you gently into the world of Ukes, teaching you a few basic chords, strumming and eventually playing and singing a few songs as a group, culminating in a live performance on the Paddock Stage on Sunday at 15:30 for those who feel confident enough! A fundraising ukulele band formed a little over Three and a half years ago.Based in Telford, Shropshire. Ukuleles, Harmonica, Banjolele, Washboard ... and Spoons. with all monies raised donated to charity. The Blood Bikes Charity to name but a few. We are a fun loving ukulele band which is reflected in our song playlists.Our motto is: “We are the fun in Fundraising”. and take our name from the sandstone outcrop known as Kinver Edge. We meet up on Friday afternoons for a good singalong session and we perform at gigs around the Midlands area. you don’t even need to have your own uke as we can loan you one. The creational godfather of Cool and Uke was Colin Smith. with a sense of fun to play music from “our years”! (Come Dine With Me) and Shropshire Radio! Playing music from all genres, our passion is for music from the 70s and 80s. Made up, mainly but not exclusively, of Ukuleles and Banjoleles…everyone is welcome who wants to get involved. Check out our website www.coolanduke.org to get an idea of what we do... and join in! Smelly Cät Club are Rachel and Alan. Original members of the Frankton Five group, they only got together as a duo in 2018 but are now a popular band on the Shrewsbury music scene with a devoted and growing following. They play modern, geeky folk music, on a number of instruments - and their pockets are full of memorable original songs, showcased to great acclaim earlier in the year. By the time of Shrewkfest they hope to have completed their first studio recordings. It all started by playing in people’s front rooms - and they’ve never quite got over their addiction to tea and cake. So let’s have a party! and Simon Grove on Bass Guitar. Bowie /Weller /Lennon & McCartney /Paul Heaton & many others. Gabriela was a frustrated musician all her life, with no talent for playing any musical instrument - until she acquired a ukulele about 15 years ago. She describes it like the Blues Brothers ‘seeing the light’. All of a sudden, it ALL made sense! She had found her portal to a a life of Friends, Music, Fun and Adventures around the Northern Hemisphere. Novelty songs, Stories, Jokes and Poems are her trademark, but her real trademark is the audience. The closer Gabriela is to the audience, the better. She has been described as ‘Happiness In A Hat’. In 2006, she was voted one the most popular guests on Chris Evans’ Drive Time show, and was invited to play at Chris’ last Drive Time broadcast at the Millennium Dome. through music and ukulele playing. We all love to sing in harmonies and over the years a variety of tunes have been especially arranged for us to fit our voices. We offer a mix between Jazz, Evergreens and Modern music like ABBA. England (Blackpool), Czech Republic and Spain. Our objective is to make the audience happy and delight them when we are playing. We hope that you will enjoy listening to us. that is even bigger and funnier than last time! out of the dark and into the spotlight once again. As well as being a music teacher and composer, Matthew tours the country with his surprising and unforgettable act of comedy, musicianship and originality. Returning again this year- another much requested band! in a quirky, energetic and upbeat style. Luscious licks and big bass grooves. Bowie to Chuck Berry, Pink Floyd to Pop! as well as private and public functions. on both resonator ukulele and 5-string banjo. with most listeners believing them to be old songs that passed them by. 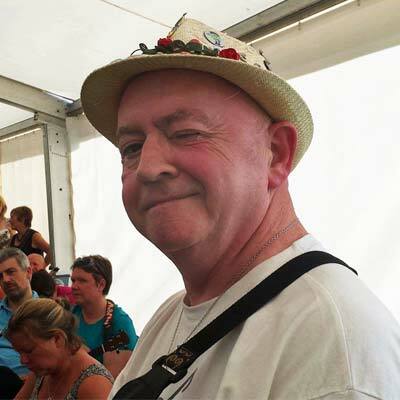 Phil tours all over the UK, and has played festivals in the US, France, Germany and Finland. on BBC radio and TV and performed with award winning musicians. “If you don’t know him already, you should! A great fun workshop! We’ll learn some standard jug band chord patterns and riffs that will have us playing great old songs by Gus Cannon’s Jug Stompers, The Memphis Jug Band, The Hokum Boys, and lots of other songs that work in the same way, and then you’ll be able to write your own jug band song! Intermediate. These songs are not difficult, and whilst we will try them in different keys, the chords used should be familiar to anyone who has ever strummed along with a ukulele club, so confident beginners will also enjoy this workshop. then at 70 came across the ukulele and is still playing at 77. Rosemary joined him 4 years ago, self taught, they are still doing their thing. during an open mic night when Tom dared Em to sing a song about undie sniffing. She took up the gauntlet with gusto and 'In Spite of Ourselves' was their first public performance back in 2016.
with ukuleles, flute, banjo, guitar and soon the musical saw! where they discovered a shared passion for the same music. and is looking forward to relaxing at someone else’s event for a change! for Summer Strum and last year’s GNUF! country folk band from Wirral. you will find us fun and friendly. and have a lot of followers on YouTube and face book . and have written a number of great songs . and we are from the Midlands. They are dedicated followers of anyone. Morgan is an up and coming musician from Shrewsbury. 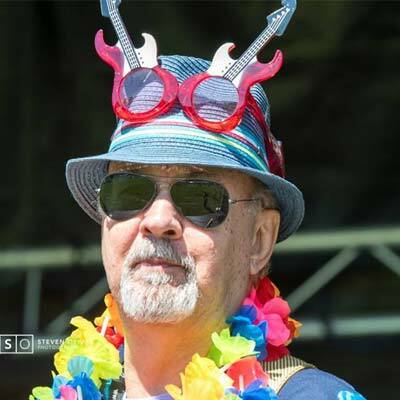 Beginners Workshop part 2 Chili Monster, Jock Henderson & Clive Butterworth, along with Stuart Palmer and Maddy Brine from The Shrewsbury Ukulele Jam will hold a Workshop for complete beginners - Always wanted to learn to play Ukulele but never got round to trying? Strumming well is just as important as learning chords. Take your strumming action to the next level, elevating it from a simple accompaniment tool for your singing to something that brings more depth and character to your playing. This workshop will cover how to vary your strumming patterns from song to song which is something vital to your playing. Aimed for all abilities, the methods covered will be suitable for solo and group playing with tips and tricks for beginners and the advanced. 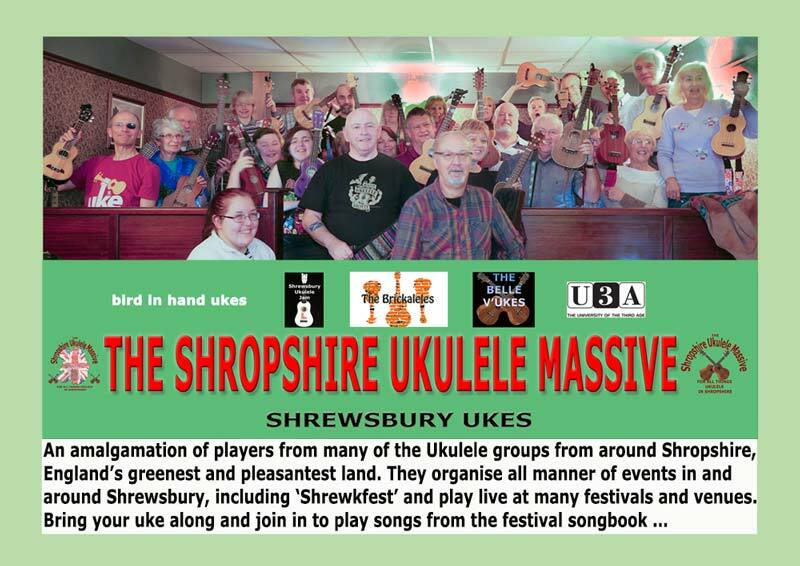 An amalgamation of players from many of the Ukulele groups from around Shropshire, England’s greenest and pleasantest land. They organise all manner of events in and around Shrewsbury, including ‘Shrewkfest’ and play live at many festivals and venues. all in support of good causes. Our currently featured charity is Blackfriars Academy, Newcastle-under-Lyme for students with profound and complex needs. We play ukes of any description and sing songs from any decade, but especially from the 50's, 60's and 70's, when we were all a lot younger. on The Wirral at the moment. Emerging from the destructively creative Wirral Ukulele scene of 2010 the band cut its teeth playing to notoriously hostile audiences in old peoples homes across the town, and headlined the WI stage at several church fetes. The ground-breaking cassette EP “TDK C30” (currently undergoing cellotape repairs, but hopefully available to be played again soon) has become legendary among family members, and the band are looking forward to making further recordings in the future. and the legendary Sir Dwayne Pipe on Bass Guitar & Vocals. 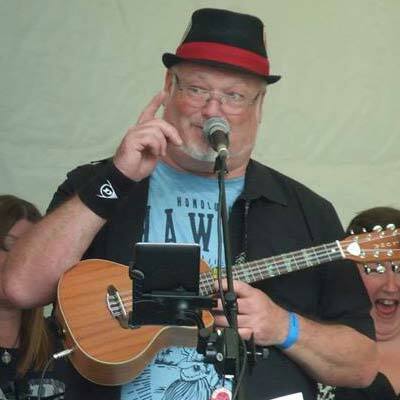 The Bard once famously said “If music be the food of love, play on”; on this basis Jefferson Milkfloat can only be described as a quick Maccy-d’s before a Saturday night wrestle with a Birkenhead nosh monster.. Its only ukulele, but we like it! Returning again after great demand - The party band to end all party bands! A seasoned professional within the world of entertainment, Dave has spent the past twenty five years on and off the road, performing in or working with bands and artists at the highest level of the business, providing his services to GIRLS ALOUD - JLS - JAMELIA - BASSHUNTER - BILLY OCEAN - ESTELLE - BELINDA CARLISLE - CAPTAIN SENSIBLE - CLIMAX BLUES BAND - BANANARAMA and SLADE to name but a few. Most recently Dave has been looking after up coming British singer songwriter and Atlantic signed artist DAN OWEN (www.danowenmusic.com) on a series of UK and European tours supporting RAE MORRIS, BIRDY, KALEO, ALICE MERTON, ISAAC GRACIE, BRYAN ADAMS as well as his own headline UK & EU tours. Drummer Extraordinaire' Alan “Sticky” Wicket renowned for his entertaining ‘Drumnastic’ solos. He is undoubtedly one of Britain’s finest Drummer/Percussionists whose pedigree is beyond question having worked consistently with the greats such as: LONNIE DONNEGAN, CHRIS BARBER, STEVE GIBBONS, VAN MORRISON and many more. An in-demand session bassist for over 20 years, Geoff delivers a reliable, creative groove with a killer tone for the job, whether playing walking lines as the in-house bassist for RONNIE SCOTTS, laying down parts for BBC recordings or rocking out on the festival circuit. Geoff's groove has underpinned shows with artists including BGT finalist JULIAN SMITH, NIGEL KENNEDY, THE AVERAGE WHITE BAND, THE REAL THING, WOMACK AND WOMACK, AND RUBY TURNER. Geoff became a London based session musician, playing on many hit records. He formed close working relationships with many music legends and has played with VAN MORRISON, JIMMY PAGE, ROBERT PLANT AND STEVE GIBBONS, to name but a few. In recent years Geoff has continued as a session and band player throughout the UK and has recently joined the exciting BEKI BRINDLE band on UK and European tours. 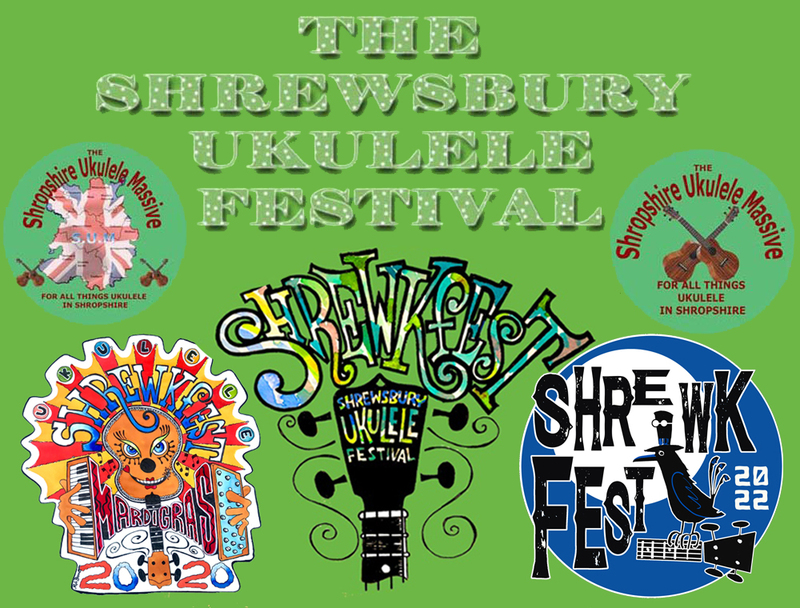 Grand Finale Join The Shropshire Ukulele Massive along with many of the performers from all over the weekend for a mass jam and sing to end this year's Shrewkfest in style! Original Song Contest Got an original song that you would love to perform? Come along and play to an appreciative audience! After such a succesful event at last year's Shrewkfest we are repeating our song contest again. Beginners Performance Chili Monster, Jock Henderson & Clive Butterworth, along with Stuart Palmer and Maddy Brine from The Shrewsbury Ukulele Jam have been teaching complete beginners to play Ukulele culminating in a live performance on the Paddock Stage on Sunday at 15:30 for those who feel confident enough!